Berroco Artisan® was released last year, and it’s still going strong with four new colors for fall—take a peek at them in Amy Christoffers’ blog post from Monday. Artisan is a dip-dyed worsted-weight yarn that acts kind of like a hand-painted yarn. Read on for more! Soft to the touch, Artisan is a blend of 80% merino and 20% silk, making it both sturdy and giving the finished fabric great drape. I knit my swatch on US size 6 needles; the recommended needle size on the label is a US size 7, but I have loose tension, so I generally go down a needle size. As you can see, the color shifts across the fabric, in a way that is similar to a hand-dyed yarn. As you know, hand-painted yarns can vary greatly from skein to skein, and you should alternate between two skeins, every other row, when knitting with hand-painted yarns. The same is true for a dip-dyed yarn such as Artisan, or any time you are working with yarns from different dye lots—you can always check the dye lot number on the Berroco label. Alternating skeins in this way helps to avoid unwanted striping effects that can happen if different dye lots are used. For more on dye lots and what that means, check out this blog that Amanda wrote a few years ago. In Booklet 382 Countryside, we have two new patterns in Berroco Artisan. 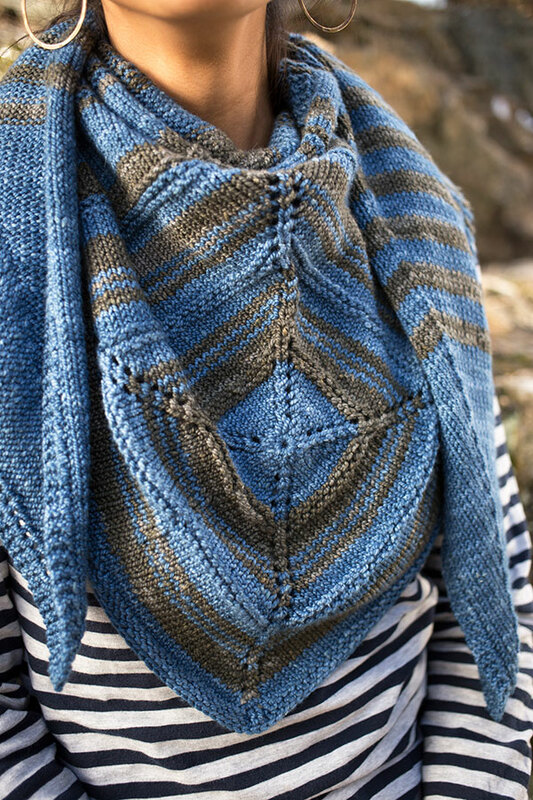 Madlen is a triangular shawl worked from a center panel out using two colors of Artisan. 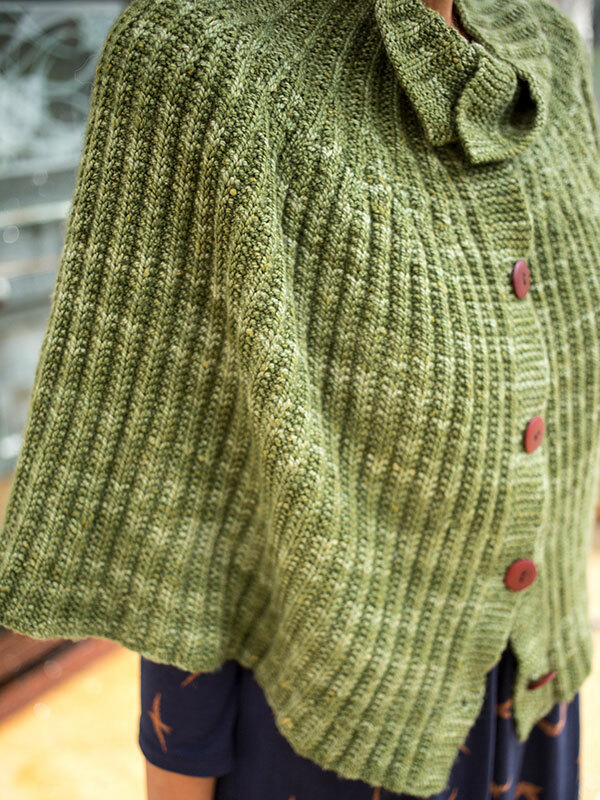 And Cadi is a capelet knit from the bottom-up, with cleverly placed decreases to gently hug the shoulders. For you crocheters out there, we released Theodora this week, a free crochet shawl pattern worked in five colors of Artisan. What have you made with Berroco Artisan? Let us know in the comments!